Make sure you acknowledge the good your children do on a daily basis. For instance, tell your children you are proud that they shared something with the neighbour’s child, or that they did a good job folding the laundry. Moreover, thank your children for their efforts. For example thank your children for setting the table, and tell them they did a fantastic job; this will make your children feel like they are valued for their contributions to the household in addition to making them feel like they have a purpose within the family. Taking the time out to compliment your children does not take up much time, yet makes such a huge difference when it comes to building self worth! It is important to make sure that children are participating in activities they love and that they feel like they will excel in. Having children engage in activities, and do well, will bring a sense of achievement to them, thus making them feel good about themselves. Such activities can include drawing, writing stories, participating in sports, baking, and the list goes on! It is our responsibility as parents and caregivers to sit down with our children, and tell them that we love them, and to remind them that they can come to us during all times. Children need to live in a secure environment where they feel comfortable enough to discuss issues with their family. Having regular discussions about bullying is also key, as this is an opportunity to inform your children of what to do in case someone threatens their self worth by taking advantage of them. Let your children know that it is not okay for anyone to talk negatively to them, and that they need to come to you right away if they are being bullied physically or verbally. 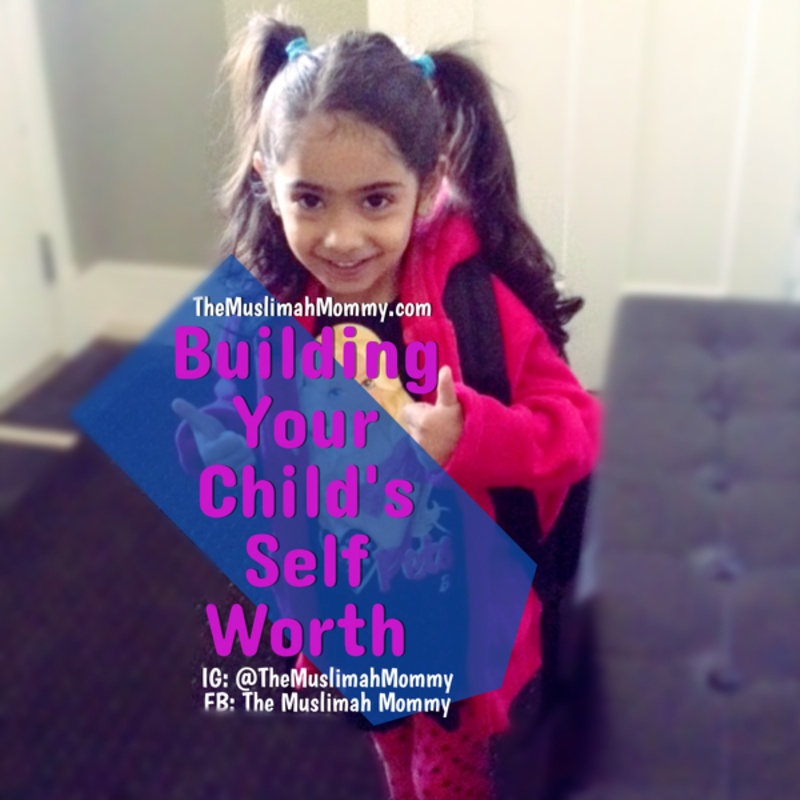 Developing your children’s self worth is not going to take a few days; this is something that will occur over time. The key is to be consistent, and to create a positive atmosphere at home where your children feel safe and loved. This article was written for and published in the December 2014 issue of Magnificent Magazine. I’m so glad you found this article helpful sister Rehana 🙂 Insha’Allah be on the lookout for more posts- coming soon! Asalaamu alaykum sister Sumaira, these are excellent tips mashaaAllah. InshaaAllah I would like to post your link on my blog so that others can benefit inshaaAllah! I hope that’s OK with u.